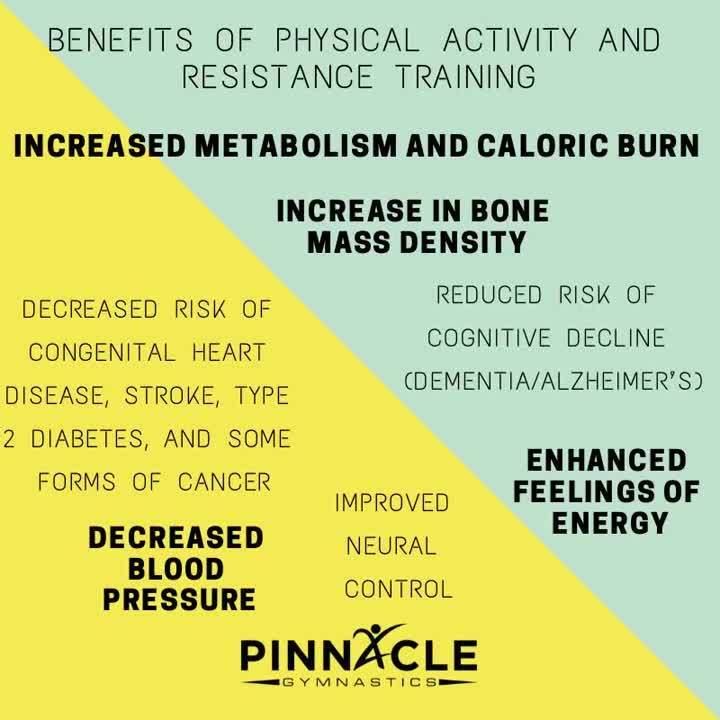 The general mindset of physical activity and resistance training is that it takes too much time with the busy schedules of our daily lives. Being physically active is much easier than going to the gym for a couple hours a day. Physical activity recommendations are only 150 minutes, or 2.5 hours, a week. That is just over 20 minutes a day! Additional benefits are seen for adults who are above the 150 minute activity marker. Physical activity can be done anywhere whether it is at the gym, at home, outside, or with your children or friends. It is extremely important to keep ourselves healthy and strong. Not only does this improve our overall well-being, it sets a positive example to those around us. Light Activity- Light effort level pertaining to normal daily activities such as slow walking, house chores, and light cleaning. More on the importance of warm up and cool down. Moderate Activity- Requires a moderate effort level and pertains to most forms of basic exercise such as brisk walking, moderate weight training, going on a light hike, golf, yoga, light cycling and gardening. Cardiovascular and respiratory system efficiency and strength. Provides more energy throughout the day, improved heart and lung function, reduced risk of illness, and improved blood flow throughout the body. 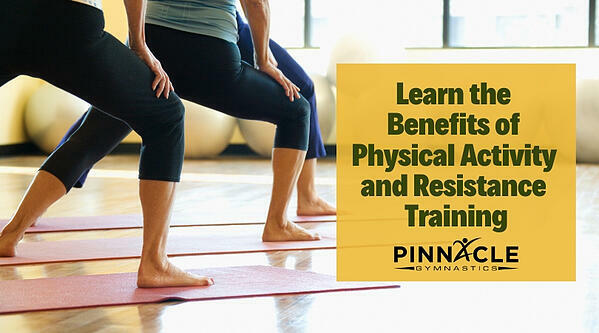 This creates stronger muscles which creates a more efficient flow for your energy system, stronger balance and body control, and reduces risk of injury with everyday tasks. Each major muscle group should be trained 2-3 days per week. Flexibility exercises improve muscle and blood flow function, reduce the risk of injury and increase range of motion. They also improve efficiency of muscles during physical tasks. Neuro-Motor Exercise is exercise that increases brain-muscle communication to improve muscle function. It leads to increased balance and reduced risk of falls, reduced risk of injury. There are many different methods to reach sufficient physical activity levels. Combinations of the above methods are the most efficient within the busy life schedules. It doesn't take hours at the gym to create a healthy lifestyle. Certain types of physical activity such as circuit training or high-intensity interval training are great options for shorter exercise bouts that target all types of exercise.With a busy daily schedule completing a 20-30 minute moderate-high intensity is extremely efficient to see the positive effects of physical activity.